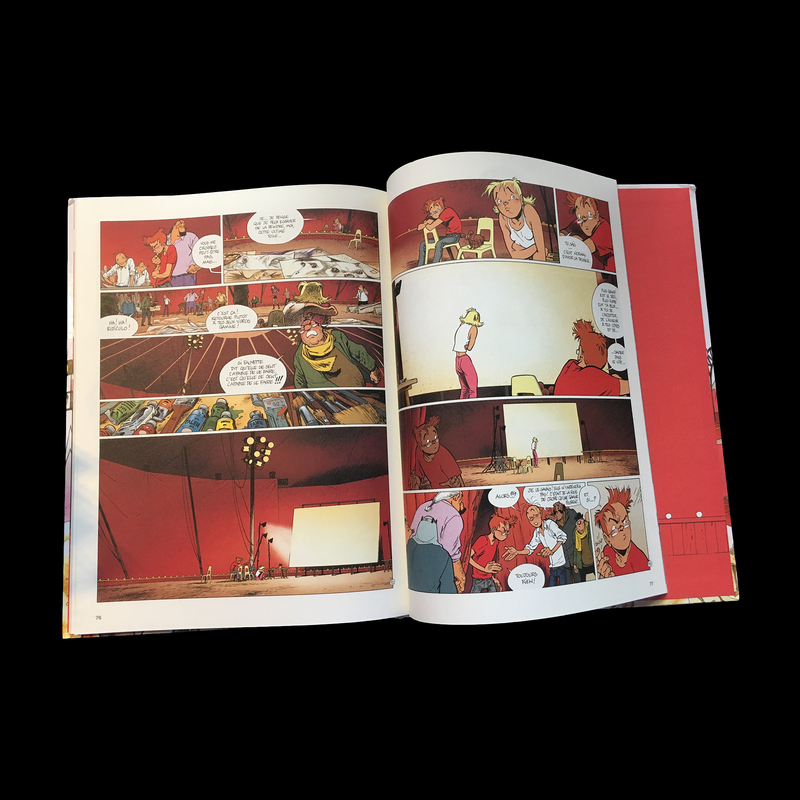 A beautifully illustrated new album conceived and illustrated by Frank Pe, animal artist and Belgian comic book creator (Zoo, Broussaille, Little Nemo). As one would expect, it is full of sensitively drawn animals. 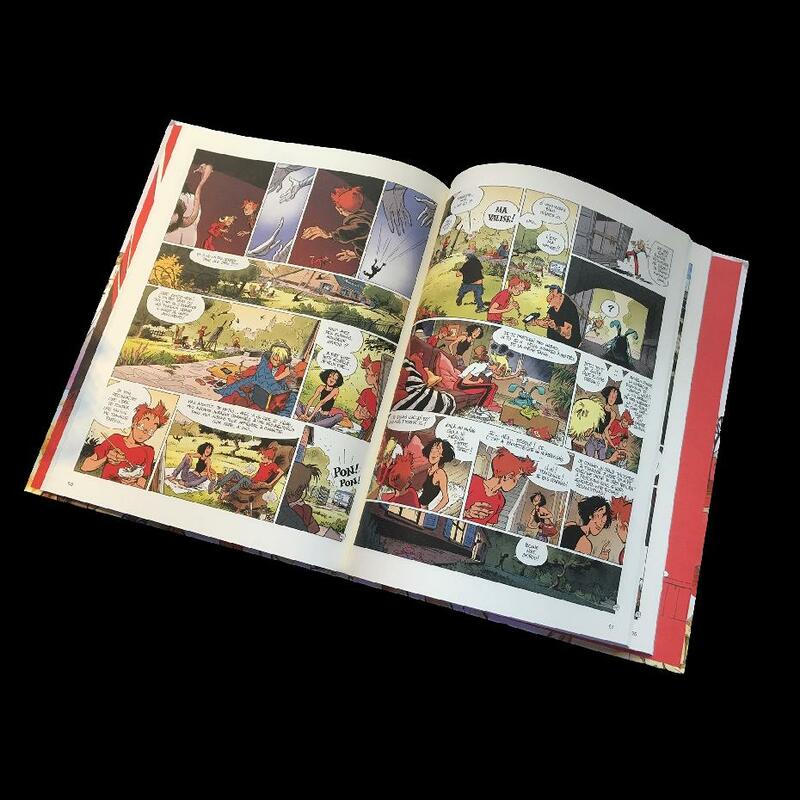 This is one in a series of "one-shot" Spirou et Fantasio albums in which different writers and artists are allowed to tell a Spirou et Fantasio story set anywhere in the characters' timeline. The artwork is incredible. 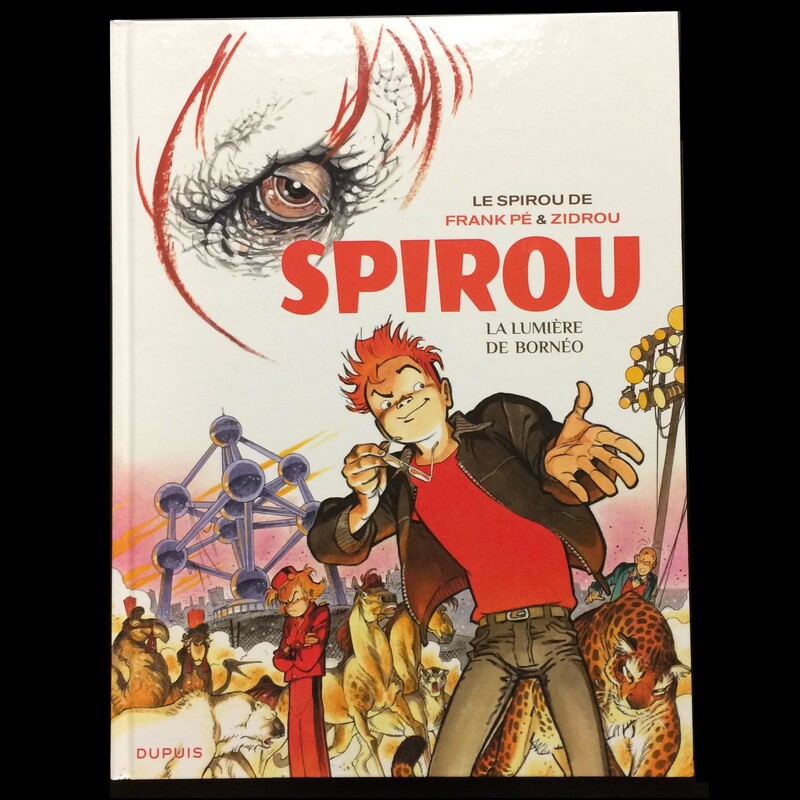 Spirou is done as a journalist! After refusing to modify an article that is a little too critical of a hydroelectric dam in the the Palombian jungle financed by a big advertiser of the newspaper, Spirou slams the door on Le Moustique. Disenchanted, he decides to make up for lost time and take time to live, including painting and gardening. But strange events will prevent him from realizing his desires. First of all, nature has gone mad and previously unknown mushrooms are sprouting causing a crisis. Then there are these mysterious revolutionary paintings by an anonymous artist that arrive at the Bernard Gallery and for which Sheikh Ibn-Mah-Zout is ready to pay a fortune. And Fantasio who is assigned by his journal to find the artist, the creator of this new pictorial style called "zooism." 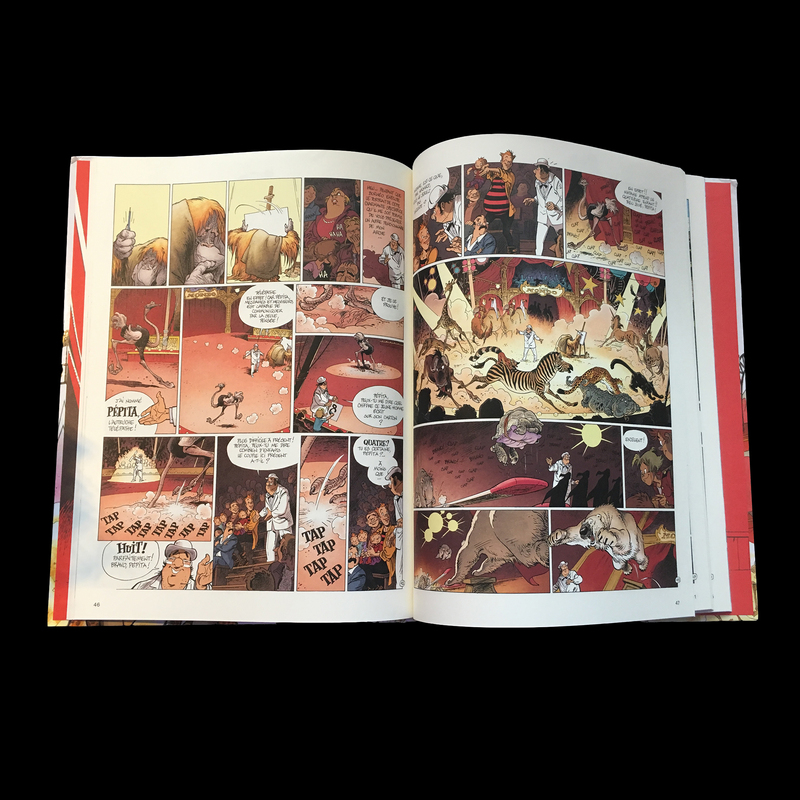 Finally, there is Noah, the extraordinary animal tamer that we met in "Bravo, the Brothers" who is back in town with all his menagerie and a girl ... who is none other than Noah's own daughter, a teenage runaway. 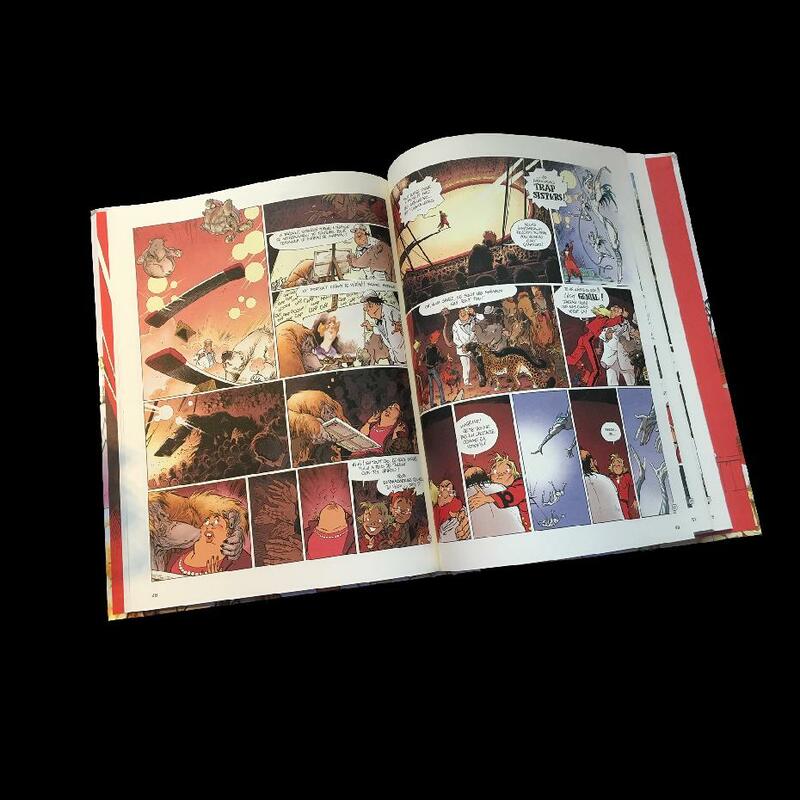 That Noah entrusts to Spirou! This Spirou by Frank and Zidrou is a humanist and ecological fable told by two authors at the top of their game!